FarVoice, а первый разве не квадратный? and last two - signals. /sbin/insmod is presented. Show me what you entered. 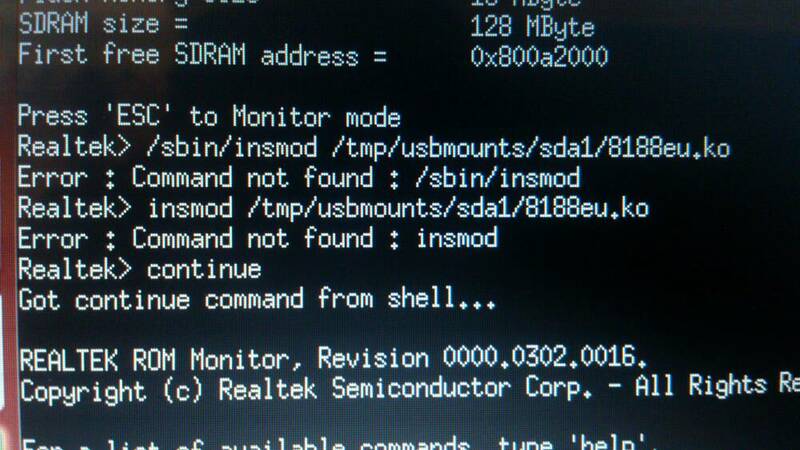 I tried to add it from kernel/drivers folder as well but same error and to be sure I have to run the command from Monitor mode right? why do you entry commands on Realtek monitor?! wait, when system is up, press ENTER twise and them entry anything. although nothing happends after it detected the adatper ...whats next ? Hotplug got one Net Hotplug of "Add" from "wlan0". It may be Realtek's wireless device. if all is ok, just add insmod to autoexec script on plugged USB stick.